has anyone been out on koronis or rice lately going out this week and just wondering if anyone has had anyone luck with the "eyes"
I fished Koronis tonight and only caught a couple small eyes. We've been getting a few nice ones most trips. 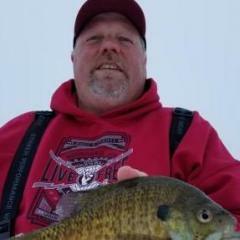 I mostly fish koronis later in the fall till first ice but I just wanted to c if anyone was having any luck. I would fish Koronis over rice this time of year. I have seen and heard of some good size eyes coming out of koronis as it starts to get colder.